4 Door Nissan chat including but not limited to: Cefiro's, Laurel's, Cima's, Cedric's, Gloria's, Leopard's, Maxima's, Q45's and President's... and Skyline Sedans. Show off, discuss and update other members on what's happening with your 4 Door beast. 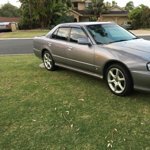 Cefiro and other Sedan Parts for Sale. Please use the Private Whole Car Section for "Whole Cefiro" sales. A Question For A31 Ceff/c33 Laurel/r32 4-door Owners. 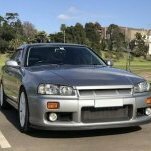 A31 Cefiro: How To Wire Up Your Wipers! Cedric y34 radio/climate control buttons aint working. Problem!? (A31) Wiring issues... again. YAY!